Medical document imaging refers to the conversion of hard copy medical records to electronic files on digital networking systems. Many medical organizations scan old documents into an online-based system that enables physicians to create and manage new records. This costly electronic imaging system has vast potential for the entire healthcare industry, especially in regards to its speed and accuracy. The old system of filing hard copy medical records made it a time-consuming process that required the creation, storage, and retrieval of physical copies in a medical office. It also required data transmission over the telephone or mail. Medical document imaging enables the electronic transferring of medical information between providers, insurers, patients, physicians, and anyone who has the authority to view the electronic files. Electronic medical records allows hospitals and doctors offices to act quickly when rendering services to their patients. Referrals issued to specialists, hospitals, outpatient offices, and clinics. Electronic medical records have detailed information about any procedures done for the patient, including biopsies, specimen tests, imaging, and more. The earliest medical document imaging system emerged from the development of the PROMIS computer-based system in the 1960s at the University of Vermont. Lawrence Weed collaborated with his colleagues to develop the PROMIS system in an attempt to organize medical records and make them deliverable to physicians in a timely manner. In 1967, the Latter Day Saints Hospital in Utah used the Health Evaluation through Logical Processing, also known as the HELP EMR system, to manage their medical records. 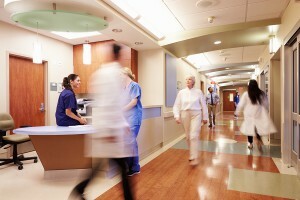 The HELP medical document imaging system served ten hospitals over several decades. The Multiphasic Health Testing System, colloquially known as MHTS, became one of the first EMR-based systems used to organize medical data. In addition, the COSTAR ambulatory computer-based system served as one of the two pilot programs of medical document imaging in 1968. The Technicon Medical Information Management System (TDS) was developed during the early 1970s, which converted paper charts into an electronic file. This made it easier to read illegible handwriting. In 1973, the Regenstrief electronic medical records (EMR) program emerged in the state of Indiana, where many hospitals still use it today. The healthcare field did not officially push to organize patient data electronically until 1969, with the development of the Problem-Oriented Medical Record (SOAP) computer-based system. The SOAP system included data on the patient’s condition, medical assessment, and future treatments. Many medical professionals criticized the SOAP system by stating it was incompatible with the way their offices conducted business. During the early 1980s, the THERESA program succeeded its predecessors at Grady Memorial Hospital in Atlanta, Georgia. THERESA enabled doctors offices and hospitals to handle inpatient and outpatients through direct data entry. Later in the decade, the Department of Defense adopted an electronic document records system called CHSC, a creation designed by the Science Applications International Corporation. CHSC was mainly employed in military healthcare centers. Modern electronic medical record technology (EMR) finally arrived with the introduction of the EpiCare system. EpiCare became the first EMR-based system that operated on Microsoft Windows. Many medical organizations still use EpiCare in their practices today. In fact, EpiCare offers MyChart which allows patients to access to their medical records on the World Wide Web. 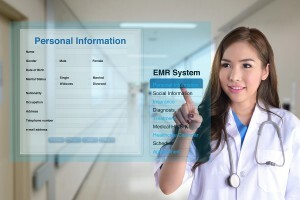 EpiCare set the trend that EMR technology would evolve on the same pace as computers. 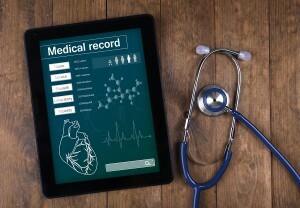 Electronic medical records also serve the patient by keeping all medical information confidential and secured on a company’s computer. Electronic files increase security more than a physical storeroom. It eliminates a medical organization’s control over its storage procedures, which reduces the chance of having files misplaced or lost. It also allows medical organizations to access information faster and efficiently, which makes it easier to receive healthcare when needed most. Electronic medical records also reduce the carbon footprint on the world by eliminating a paper documents. This makes the practice both economical and ecologically friendly. Electronic filing also increases employee accountability by making time stamps on every action performed on the computer-based records system. This ensures that a patient’s medical information does not become compromised by unscrupulous employees. Over the years, modern medicine has developed many technological advancements that helped increase productivity in the healthcare field, such as electronic medical records enable organizations to store, organize, manage, and retrieve confidential medical data in a timely fashion. It also secures medical data by storing it on a separate drive and increasing transparency among healthcare providers, insurers, and patients. It holds everyone accountable, which ensures that all examinations and procedures flow well. Electronic medical imaging will continue to evolve into a system that vastly helps those in need of medical attention without compromising sensitive data in the process. Get Free Quotes on Medical Record Scanning Today! Record Nations can ensure that you are hiring a medical records imaging provider who will handle your project in a secure manner. We found the best local experts in scanning services to create a network of professional medical records scanning providers who can handle your patient’s sensitive records. To get a free quote today, fill out the form to the right, or give us a call at (866) 385-3706. Within minutes of receiving your request, you will have free quotes from experts in your area with an estimate for your project.